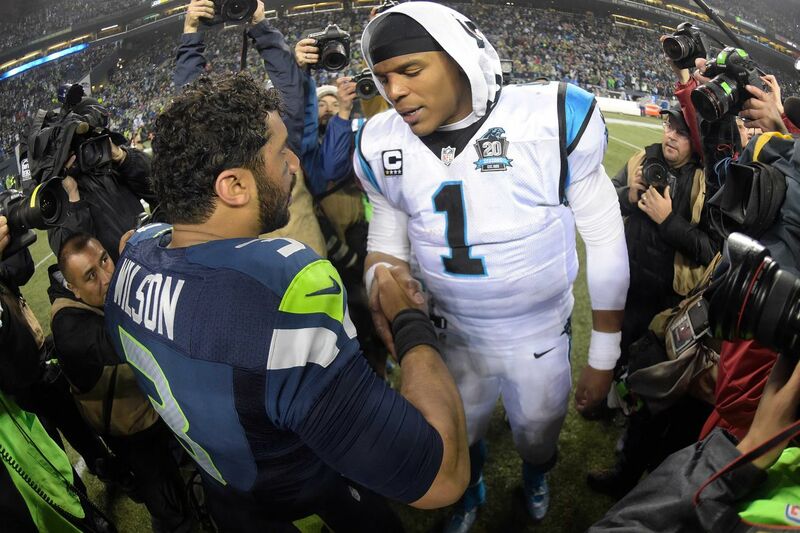 Tonight’s Super Bowl of Cam Newton versus Peyton Manning should be a great rivalry, but one too short lived. Though it will only be for one game, the match-up will surely be remembered for a long time. Though, this game is about more than just a Lombardi trophy and a chance to achieve ultimate greatness; it is about the vast transition in the National Football League. It has been a trend in recent years that quarterbacks have become more mobile and versatile. But there is still the older generation of quarterbacks that play as pure pocket passers and represent what is now an older style of football. If has been the Superbowl that recently we have been able to see this in most clarity. We haven’t seen a Super Bowl quarterback style of similar style since Tom Brady faced Eli Manning in 2012. In 2013 if was Joe Flacco vs. Colin Kaepernick. In 2014 it was Peyton Manning vs. Russell Wilson. In 2015 it was Tom Brady vs. Wilson again. There’s no predicting the winner based on that- though in the three match-ups the traditional QB leads 2-1. But this trend is truly the sign of a quarterback revolution, if you will. The old age of quarterbacks are slowly fading out while still having success. If you look at the current QB landscape, there are three different divisions: the traditional pocketpasser, the mobile playmaking quarterback, and pass first QB’s with running ability. The traditional QBs include: Peyton Manning, Tom Brady, Carson Palmer, Ben Rothlisberger, Tony Romo, Andy Dalton, Matthew Stafford, Matt Ryan, Jay Cutler, Eli Manning, Phillip Rivers, Blake Bortles, Brock Osweiler, Joe Flacco, and Nick Foles. The moblie playmakers include: Russell Wilson, Cam Newton, Marcus Mariota, Collin Kaepernick, Tyrod Taylor. And the all-around pass-first QBs include: Aaron Rodgers, Andrew Luck, Drew Brees, Kirk Cousins, Teddy Bridgewater, Jameis Winston, Derek Carr, Ryan Tannehill, Alex Smith, and Ryan Fitzpatrick. The age of traditional quarterbacks is winding down. Peyton Manning may very well be playing in his final game tonight, Tom Brady is 38, and Carson Palmer is 36. In contrast, Cam Newton is 26, Russell Wilson is 27, and Marcus Mariota is 22. The future is the rushing quarterback that can make plays in many ways. These young quarterbacks have already experienced success in this league from Russell Wilson’s Super Bowl ring to Cam Newton’s MVP award. And this is not a phase, these quarterbacks are taking the league by storm and are here to stay. Expect even more success from these new-age quarterbacks in the future. There’s a reason that people say Cam vs. Wilson will be the next Brady vs. Manning, and they are right. Posted in Carolina Panthers, NFL and tagged Aaron Rodgers, Alex Smith, andrew luck, Andy Dalton, ben rothlisberger, Blake Bortles, Brock Osweiler, cam newton, Carson Palmer, collin kaepernick, Derek Carr, Drew Brees, Eli Manning, fick foles, jameis winston, jay cutler, joe flacco, Kirk Cousins, marcus mariota, Matt Ryan, matthew stafford, peyton manning, phillip rivers, quarterbacks, Russell Wilson, Ryan Fitzpatrick, ryan tannehill, Super Bowl 50, teddy bridgewater, tom brady, tony romo, Tyrod Taylor.